Trail clearing along the Hoosac Range! 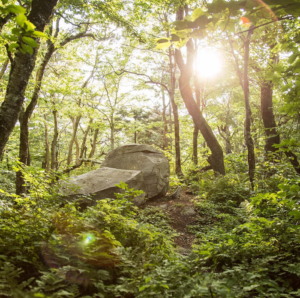 Join us for a fun day of trail clean-up on the Hoosac Range. We’ll hike the Mahican-Mohawk Trail from BNRC’s Hoosac Range trailhead to the Savoy State Forest Campground, totaling about 8 miles. Our focus will be to clear the trail corridor for the spring and summer season! Directions: Meet at the Savoy Mountain State Forest Campground, 310 Central Shaft Rd, Florida, MA 01247. We’ll spot vehicles there and then caravan to the Hoosac Range trailhead. Please RSVP to Mariah at mauman@bnrc.org or call 413-499-0596. Parsons Marsh Accessible Trail Opening a success thanks to you!